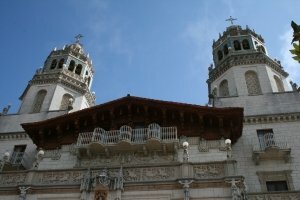 Hearst Castle tours are definitely one of the very best things to do while driving the Pacific Coast Highway. 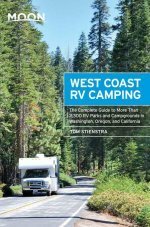 In fact we’d say that along with seeing Big Sur, and the Monterey Bay Aquarium, it’s one of the must-see PCH attractions, and the highlight of California’s Central Coast. Hearst Castle is in San Simeon, a few miles north of Cambria, and either place makes a good base for an overnight stop along the drive. 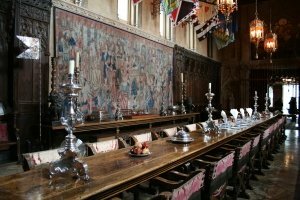 As it’s advisable to book Hearst Castle tours in advance, we recommend basing yourself near here one night, and booking on one of the early morning tours. 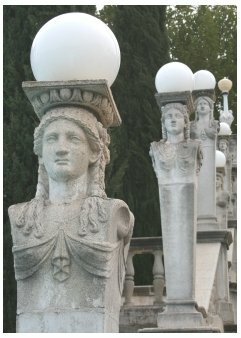 For the practical information you need, see our Visiting Hearst Castle page. 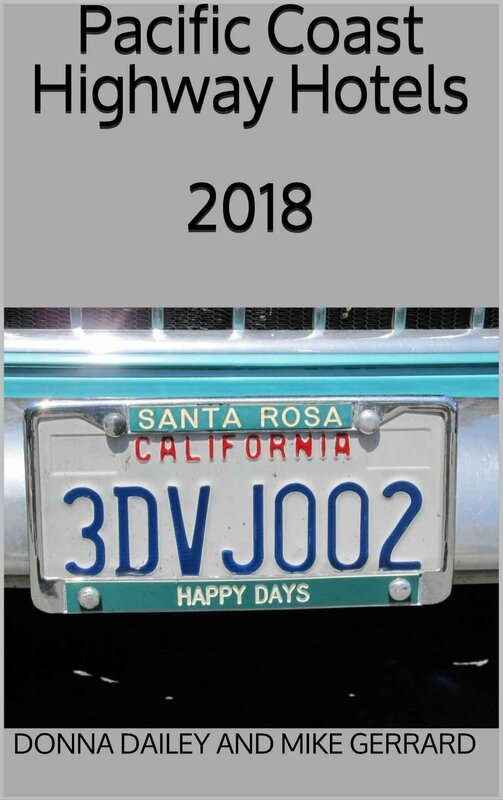 We booked on the Experience Tour, which is the general introductory tour recommended for all first-time visitors to Hearst Castle, although you’re free to choose whichever tour appeals to you most from the several that are available. Since we did this tour the name has been changed to the Grand Rooms Museum Tour, but the actual tour is very similar. We set off in the small coach for the 5-mile ride up the hill to the Castle itself, and on the way we learn about the zoo that William Randolph Hearst had here. It was the world’s largest private zoo, and included lions, cheetahs, leopards, reindeer, kangaroos, and many other creatures. There are still Barbary sheep, deer, and Roosevelt elk in the grounds, and if you’re driving past Hearst Castle and think you see some zebra grazing, you’re not hallucinating. There are still about fifty of them living at Hearst Castle, along with about 5,000 head of cattle in the 80-90,000 acres of land. The original ranch here had to be as self-sufficient as possible, as when work on building the Castle began in 1919, it was quite remote. 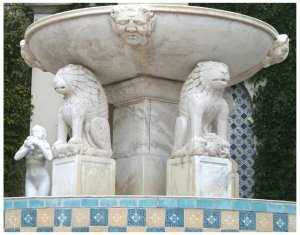 All the water used at Hearst Castle still comes from three natural springs that are here. It was in 1919 that Hearst inherited the land and the family fortune of almost $11 million. His father had been a successful prospector, and had found the largest strikes of gold, silver, and copper in the United States. William Randolph went on to add to the fortunes by building his publishing empire. He owned magazines like Cosmopolitan, Good Housekeeping, and Home and Country, and owned newspapers in every major city in the United States. However, by the late 1930s he was $120 million in debt, and had to cut back on some of his excesses. By the time he died in 1951, though, he had rebuilt his fortunes and was worth somewhere between $200-400 million. Those are just a few of the highlights of a typical Hearst Castle tour. We went away fascinated by William Randolph Hearst, and his Castle. It’s an essential stop on any Pacific Coast Highway drive. 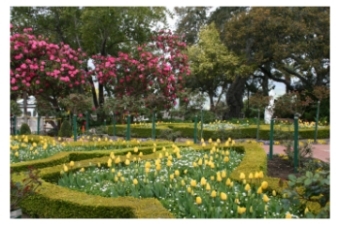 To find out the practical information about a visit to Hearst Castle (how long to allow, how to get there, where to stay etc) see our Visiting Hearst Castle page. For further information and to book a tour, visit the Tours page of the Hearst Castle website. If you're visiting Hearst Castle from Los Angeles, see the detailed driving advice on our LA to Hearst Castle page.